Brandon Kenney’s Perfect Storm. | The Sketchcard Saloon. ← Best. Card. Ever. Jeff Zugale. 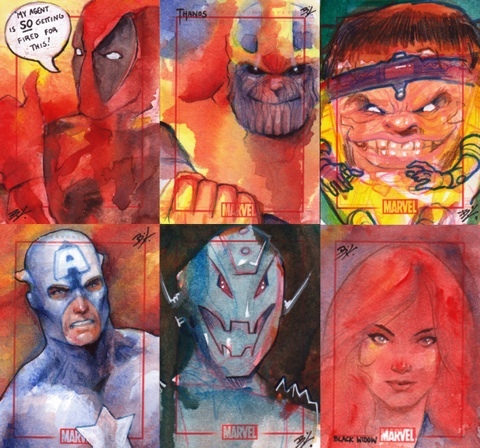 Brandon Kenney has created more than 1000 sketch cards, but his watercolor-based experiments for the Marvel 70th Anniversary set were unlike anything this community has ever seen. 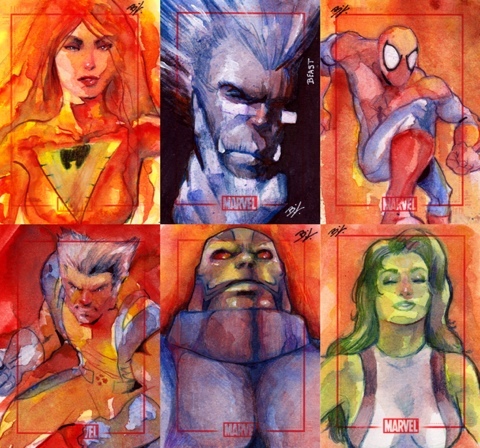 This entry was posted in Artist Spotlight and tagged Brandon Kenney, Sketch Cards, Sketchcards, Watercolor. Bookmark the permalink.